Don’t say I don’t tell you; "you need to know much about Obafemi Awolowo University before you can win her heart”. You need to know about the university Post UTME/DE, Predegree and JUPEB admission, their requirements, how things work among them and so on. Interestingly, this series has been the most difficult I had done. This is because for any blogger to do this, he has to research extensively and know what he’s talking about before he can take a student by hands and bring him to the campus of his dream. Or else, he will only lead hundreds of students astray. This is my experience in detail and a well researched piece about the Obafemi Awolowo University Ile-Ife admission activities. I want to take you on a trip. Please be patient and read through in order to understand the step by step procedures hundreds of students had followed before they could be on the campus of the No. 3 University in Nigeria. OAU Admission to OAU with Legs. OAU has really (recently) drove admission seekers crazy. They’re well known for making admission so difficult that a candidate may not even know where the problem was from. But things have changed now. I assure you – you can easily gain admission to the school, if you do THREE things right. Your success depends on how right are your pre-UTME decisions, UTME outcome and Post UTME performance. First and foremost, hope you're set for admission with your O'level results? By this I mean, do you already have 5 required grades in your relevant SSCE, WAEC, NECO, GCE or NABTEB? That question may sound rhetorical but I must warn you that without 5 relevant O'level results, you're going no where for admission. Studying JAMB brochure (as I will be covering below) will guide you as to what subjects you must have credits in, for a particular course. You can also use awaiting results to seek admission to OAU provided the results will be out or available before the school's post UTME exercise begins. This means if you're in SS 3 or you're yet to have your complete SSCE result, you can fill in awaiting results for your O'level during UTME registration at CBT centre. Note that, immediately your O'level result is released and the required subjects and grades are met, you have to go back to CBT centre to scan and upload it to the JAMB portal. This may attract additional charge! Literally, you'll need at least 5 credit passes in relevant subjects in one sitting or 6 credit passes in two sittings before you can apply. This means some courses requires you to use ONLY ONE SITTING e.g Medicine and you can use two sittings for others e.g Chemistry. Studying brochure is your best bet for this. Note: OAU doesn't accept commerce as her SSCE subject requirements. There is no need to explain this. But for a full novice or first-timer, I will take you there a bit. You see, during UTME registration, you will take four schools. These schools will be headed 1st, 2nd, 3rd and 4th choice. Jamb allows you to take your interested schools in order of preference. For the purpose of this post, let’s jump to the end. 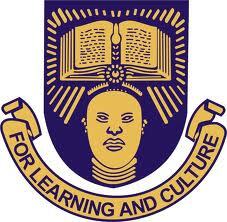 Take OAU as the first choice institution. That’s all. After this, you will select a course. I remember in our days, you could take a school as first and second choice and take two different courses. Today, you take one school and one course. Though, if you consider all state universities, a few federal universities and any polytechnics or colleges of education, you can still choose a school twice or more with different courses. However, I don’t particularly advise that. Choosing courses for OAU in UTME is the most difficult task. You don’t just take a course without knowing the SSCE result requirements for it. You have to write correct subjects for the course in UTME and you really need to know if the school has some special considerations other than generally acceptable ones according to JAMB. The only way to get this right is to get a JAMB brochure, study and understand it or check your institution and course eligibility. Let’s me share you a secrete. This only concerns social science candidates. Please never should you do Commerce (in UTME) for any OAU course. That ends your chance to gain admission immediately. The university doesn't accept Commerce in UTME subjects or O’level requirements. You will thank me later. Sorry, that's no more a secrete! Don’t be afraid, JAMB brochure could really appear big or too wordy. But you are not going to read all the details; all you need is to locate your proposed school and your intended course. This why I created my mini JAMB brochure to help you locate relevant subject combination without going through the whole brochure. If you’re not aware yet, JAMB is not giving paper brochure but you can get the online version. If you have a computer that can read disk, you can get CD brochure from your friend, sisters or brother. Actually, JAMB CBT centre will give you your own but not until after the registration had been completed. OAU is one of the most competitive institutions in Nigeria. Is that scary? Yet, they could be friendly if you’d done things rightly. When the university's post-UTME is on sales, register online and at the exams schedule, partake in the computer based Post UTME. They will only test you on the same subjects JAMB tested you on. If you care to get their past questions, visit a bookshop within the campus. You can also try your luck at other resourceful bookshops outside. You'll ONLY be able to partake in the post UTME, if you score 200 or above in UTME. And sincerely, just 200 will not help you because the aggregate score may finally weaken you. Make sure you go far up in UTME. You'll get my explanation sooner. The total post UTME score is 50. The average pass mark is 25. There’s a rule for this - if you score less than 25 you, that's the end of your admission journey. In other words, you must score at least 25 marks out of 50 if you will be expecting admission in the first place. Your aggregate mark will then be matched with your departmental cut-mark. If your aggregate score meets or beats the department cut-off mark, congratulations in advance. You can see the previous departmental cut off marks as posted by OAU Peep. Note that this departmental cut-off mark may change for this year. Revisit this post for my update on this. Yes, I don’t forget you too. In case you don’t know who direct entry applicants are, they are already holders of Bsc, HND, ND, NCE, IJMB, JUPEB, Cambridge A’level and so on. These applicants only want to further their studies in the University for same courses or related ones. Skip here if you’re not a DE applicant. DE procedures to seek admission into the university is not too different from UTME. In succinct, you also must obtain JAMB form (but not UTME). Yours is called JAMB DE form. It’s usually at the same price. The form will be out the same time with UTME (this started 2018). It may likely close the same time, so don’t waste your time. You will also register at any CBT centre. you only choose two universities. Even though the second choice can be a waste; as no school is accepting 2nd choice any longer. you may be required to send your qualification transcripts to the school and submit all your credentials after you have completed the DE registration. But not compulsory! you will not do post DE exams. However, you too, like UTME candidates, must register for post DE which happens the same time with UTME applicants. I like to emphasis that all DE candidates should make sure they study the "Special Considerations (Waiver) remarks section" of the JAMB brochure very well. Make sure you get it before you apply. You may waste your time and money chasing shadow if you ignore the power of brochure. I have detailed how to study and understand JAMB brochure here. You'll real love check your institution and course eligibility as the first step you take. 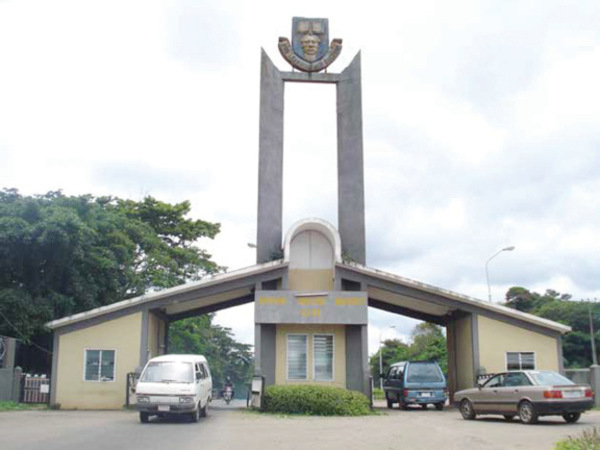 Is OAU favouring her pre-Degree, Diploma, JUPEB candidates in admission? It’s not easy to be a disciplined school and at same time run programmes like pre-degree, JUPEB, IJMB, Diploma etc. OAU is so disciplined that they’ll will not give the Pre-degree, Diploma or JUPEB candidates admissions unless they meet certain terms. In most cases, these terms are general terms for those applicants who are not their predegree or JUPEB candidates. For example, as a pre-degree student, you still have to score 200 or above in UTME before you can be admitted. You must at the same time pass pre-degree exams and meet or beat the pre-degree cut-off mark for your proposed course. Not yet done. You must pass the post-UTME. In other words, your case is even worse than candidates who didn’t do their pre-degree programmes. One advantage you may have eventually is, even if you don’t meet up with the requirement of your proposed course (as their pre-degree or JUPEB student), you can be compensated with a lower course. Lately, the university is offering non predegree and JUPEB candidates other courses too. 7. Gain Admission to OAU with Legs. Do you wonder if you can gain admission to OAU with connection? Yes it’s possible. But do you need that? Seriously you may not need this. Let me explain why. Once you meet or beat the departmental cut-off mark, welcome to the campus. Even if you score a bit below merit aggregate mark but you fall to the school's catchment areas or less educated states, you will be favoured with less mark. But hundreds of my candidates had done it. Thousands of students on that campus are living testimonies too. Unless there’s something you’re hiding, if you want Obafemi Awolowo University, you deserve it.